We are so jealous over today's bride, the options and resources available to make your wedding memorable and unique are endless. All that hard work of planning and fun needs to be remembered, shared and stored forever and ever. From trying on your dress, to your bachelorette party, the wedding, and don't forget about the honeymoon. 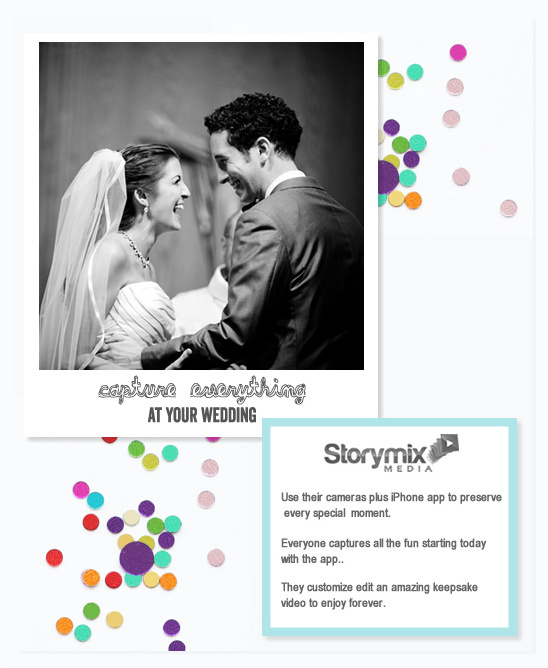 Bethany and Brian are one of the many couples that have used Storymix. "It was so much fun going through multiple points-of-view and seeing how much fun everyone had on our special day. We were even able to record our honeymoon, so friends and family could quickly and easily see a quick video of ostrich-riding in South Africa. 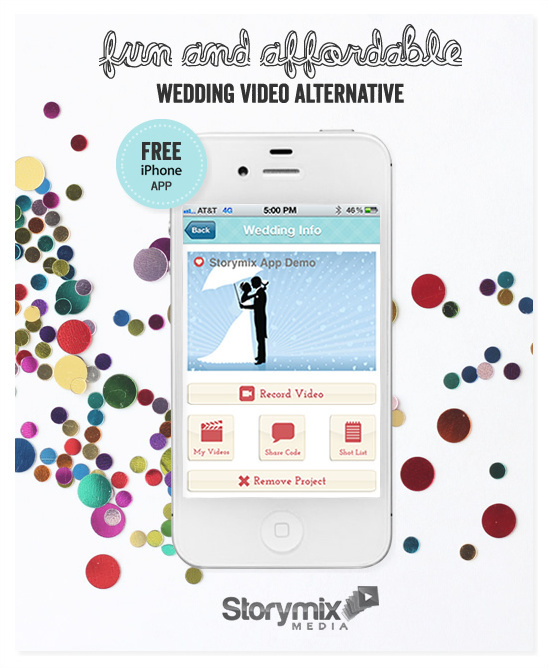 Storymix was great to work with throughout the process and we’re so glad we decided to memorialize our special day through their service."e. Don't forget to enter to win the $500 package. Click here to enter!